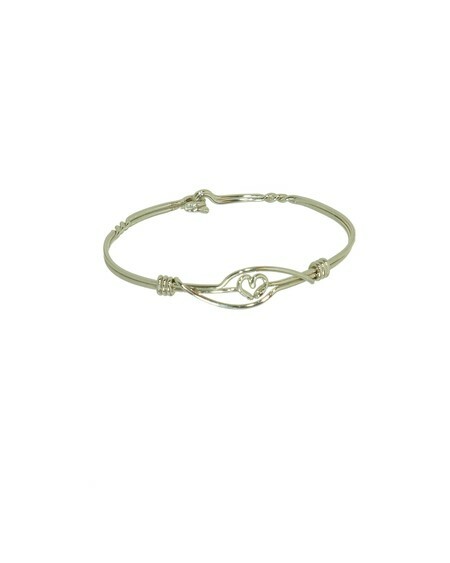 Woven into the centre of this charming bracelet is a heart, spread the love throughout the world. Metal is Rhodium anti allergenic quality. Can be worn in all sorts of water.